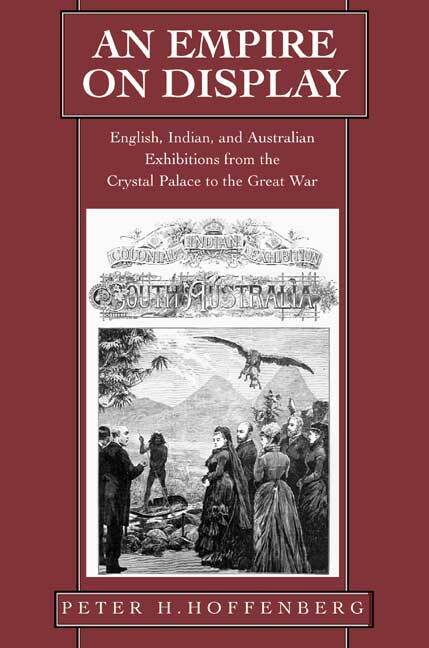 The grand exhibitions of the Victorian and Edwardian eras are the lens through which Peter Hoffenberg examines the economic, cultural, and social forces that helped define Britain and the British Empire. He focuses on major exhibitions in England, Australia, and India between the Great Exhibition of 1851 and the Festival of Empire sixty years later, taking special interest in the interactive nature of the exhibition experience, the long-term consequences for the participants and host societies, and the ways in which such popular gatherings revealed dissent as well as celebration. Hoffenberg shows how exhibitions shaped culture and society within and across borders in the transnational working of the British Empire. The exhibitions were central to establishing and developing a participatory imperial world, and each polity in that world provided distinctive information, visitors, and exhibits. Among the displays were commercial goods, working machines, and ethnographic scenes. Exhibits were intended to promote external commonwealth and internal nationalism. The imperial overlay did not erase significant differences but explained and used them in economic and cultural terms. The exhibitions in cities such as London, Sydney, and Calcutta were living and active public inventories of the Empire and its national political communities. The process of building and consuming such inventories persists today in the cultural bureaucracies, museums, and festivals of modern nation-states, the appeal to tradition and social order, and the actions of transnational bodies. Peter H. Hoffenberg is Associate Professor of History at the University of Hawaii.